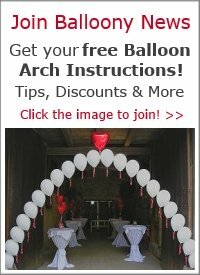 When using many balloons (400) to pass out during a parade, with some wind blowing; how do you prevent the balloons from wrapping around each other and tangling the balloon ribbons? If you want to see how Disney balloon sellers hold them securely, here is a video. 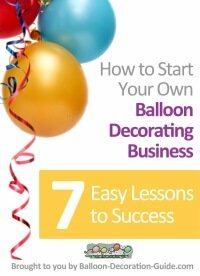 Divide the balloons into manageable bunches (10 to 15 balloons). 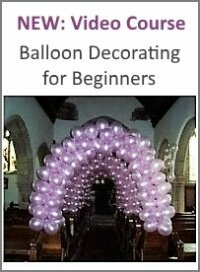 Pull all balloons down, until they touch your hand and the necks are even. Then secure the ribbons with a balloon clip or food bag clip. Place the clip as close to the balloon necks as possible. If it takes too long to open the clip each time you want to give out a balloon, then I'd suggest to replace the clip with your fist. Grip all the ribbons as close to the balloons as possible and hold them tight. 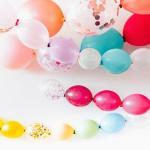 Use the clip method for the balloon bunches you give out later.